I’ve been away from the blog for a while working on some Pathfinder RPG projects. 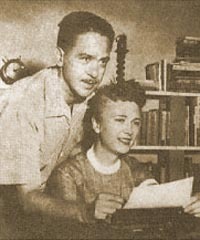 While procrastinating from one of those projects recently, I got into a discussion with a science fiction fan about the pulp era married writing duo of C. L. Moore and Henry Kuttner. I’ve published several works by the two authors in Paizo’s Planet Stories fiction line, and a lot of my reading over the last few years has focused on these authors and their contemporaries. I haven’t read everything they wrote. I wouldn’t consider myself an expert, but I’ve read dozens of stories and novels by both authors and I’ve amassed and plan to read about three times that much. I’m getting there. That’s certainly the contemporary view of Kuttner. Many critics specifically cite Kuttner as a “craftsman,” which (while absolutely true regarding story structure, clever endings, and the “mechanics” of a story) seems to me to suggest that Kuttner was technically good at his job, but not really good. If you know what I mean. I think “craftsman,” as a critical label, is as much of a negative as a positive. Kuttner was definitely a craftsman, and C. L. Moore was definitely in the upper tier of her generation, but I have developed what I think is a more complex appreciation for Kuttner than the standard view by seeking out works he published under his own byline and works prior to his marriage to get a sense of him as a writer outside of Catherine’s influence. Additionally, I’ve favored work that has not been frequently reprinted, such as old 60s Ace novels or pulps from the 40s. The place to start with Kuttner is the classic horror story “The Graveyard Rats,” his first published work. This is a masterpiece, among the most effective horror stories I’ve ever read. It is really remarkable, and sticks with you a long, long time. I shudder to even think about it. From there, explore the classic Galloway Gallagher stories collected in ROBOTS HAVE NO TAILS. 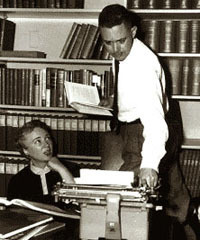 In her introduction to the Lancer edition of these stories, Moore claimed to have written not a single word of these screwball sci-fi mystery stories. These stories accurately display Kuttner’s creativity, clever plot constructions, madcap (often very dark) humor, and tight, entertaining endings. The thing is, Henry Kuttner wrote for a living. And he wrote a LOT. Whereas virtually everything I’ve read by C. L. Moore stood out in one way or another, a lot of Hank’s stories are pretty clearly first drafts. Every writer agonizes over his first story, polishing it up perfectly, revising time and again before it is ready to be sent off to some editor. “The Graveyard Rats,” is a vivid Lovecraft pastiche so effective that many (including me) think reads as well as the genuine article. That story, I think, is emblematic of the type of genius Kuttner was capable of when he had the time to fully develop his ideas and polish his style. Much of Kuttner’s work, stylistically speaking, is fairly straightforward. But when he gets to Something Wonderful (like a crystal monster fallen from space, or a ribbon of life-giving, time-slowing nebula dust in the mountain valley of a South American tropical rainforest, or metal bus coming alive and squeezing the liquid chunks of its riders out the windows as it warps itself into a perfect sphere), the lush description kicks into overdrive. In some cases, Hank applied that lens to entire stories or short novels, and the results can be really breathtaking. The four of those stories are, in my view, as strong as the best works of C. L. Moore, or any of their contemporaries in the pulps of the 1940s. That the world could throw together two writers of such high caliber in the same marriage is almost unbelievable. And with Leigh Brackett and Edmond Hamilton, it happened twice in the same decade! 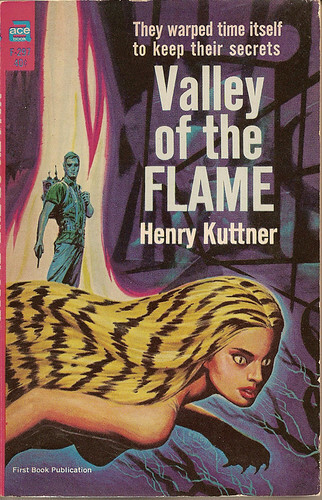 You forgot to mention that awesome Ed Emshwiller cover art!